I’ve always liked looking in people’s grocery carts at the check out line to see what they are getting. Is that a little nosy? Yes. Am I judging? Not usually (though if you are buying Spam, Hungry Mans and chimichangas I probably will be). More so I find it interesting to see how many people are making an effort to try to be healthy, but just don’t have the knowledge to make it happen. 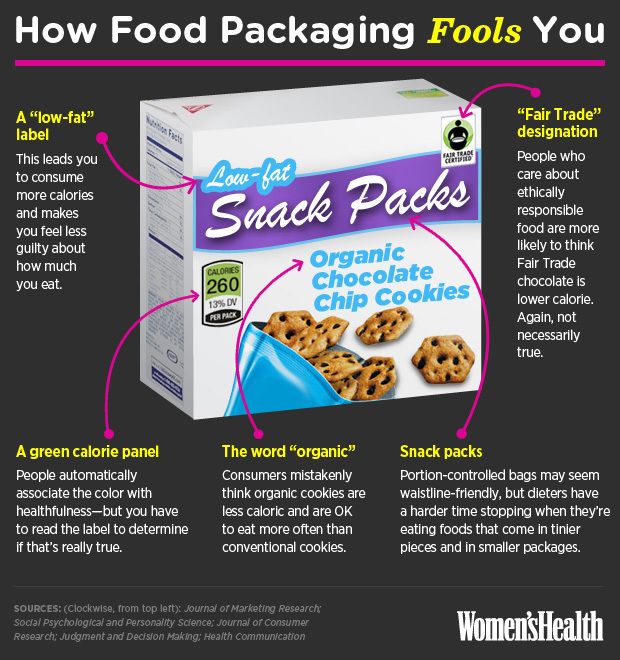 I was 100% one of these people, buying “100 Calorie” Packs of cookies (who really eats just one?) or Smart Ones Ice Cream treats. 2) MSG has been shown to trigger weight gain and, more importantly, can destroy nerve cells in the brain if consumed in large quantities. 5) BHA , which is listed in the state of CA as a known carciogen, has been shown to form possible cancer causing compounds in the body. 6) Agave Nectar is advertised as a healthy alternative to sugar but in reality is highly processed, with more fructose than high fructose corn syrup. So how do you avoid this? It’s really very simple. STICK TO THE PERIMETER OF YOUR GROCERY STORE. Most grocery stores line the perimeter with the produce, meat, dairy and organic sections. There are only four things that I go into the center of the grocery store for 1) balsamic vinegar 2) apple cider vinegar 3) Spices and 4) Almond Butter. Also, because I’ve had people ask, canned vegetables are a no-no. Prior to canning they are heat blasted, removing most nutritional value, and have added preservatives and salt. If you don’t want to take it that far, which I’m sure plenty don’t, then be sure to check what is on the label. If you can’t pronounce it or don’t know what it is, don’t get it. 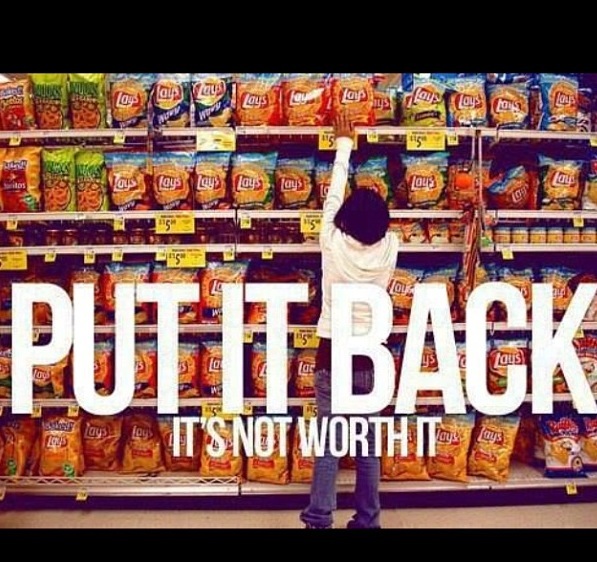 If it’s has “Modified” or “Enriched” in front of it, that means “highly processed” so put it back. Don’t be scared of fat, as long as it is from a NATURAL source. 99% of eating healthy is breaking the habit of being lazy. It doesn’t take me longer than 10 minutes to cook a chicken breast and some veggies. That’s only 6 minutes more than the average time to heat up a frozen meal, without the extra sodium and preservatives. Anyone can do it, it’s just a matter of making the choice. This entry was posted in Paleo and tagged clean eating, diet, Healthy, Paleo, Recipe by fionaboger. Bookmark the permalink. I love this post!!! 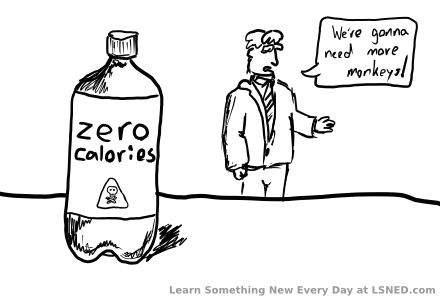 Unfortunately, so many Americans are brainwashed into thinking that “lowcal” or “low fat” items are healthy. Something needs to be done in order to educate Americans about all of the harmful chemicals they are putting into their bodies. You’re absolutely right Alexa. But I think the problem is that people are lazy and don’t care. 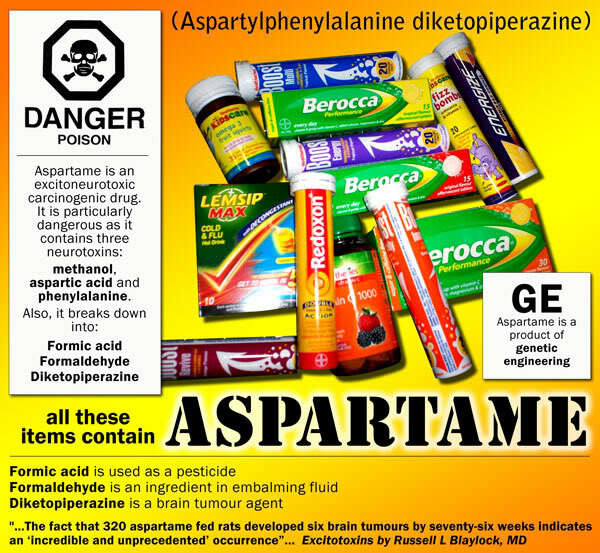 The people who “do” care, like us, read labels and do research. Most people don’t want to take the time to do it, so they have the attitude of “you only live once so why not?” My feeling is, when I die, I’m going to fall off a mountain because I was hiking…..not waste away in a hospital with several kinds of cancer! GREAT, GREAT job on this post! I’ve been looking for some material to post something like this on my blog too. I might employ a little plagiarism! LOL Hmmm, is it stealing when you give credit? Go right ahead! I’d love a link back! Glad you enjoyed it!